A new study conducted by researchers at the University of Waterloo found that the financial costs of flooding in Canada’s maritime region could shoot up by as much as 300% by the end of the century if nothing is done to mitigate the effects of climate change. The study assessed the Halifax, Nova Scotia area, which was recently hit by riverine flooding. The research team – composed of economists, geographers and political scientists – combined data on flood probability, climate change and financial payout information from the re/insurance market. The resulting aggregate information was then used to develop a forecast. 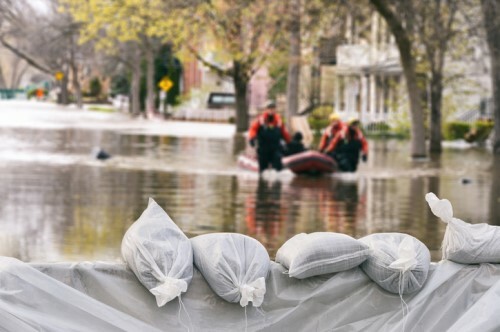 “Until recently there hasn’t been a lot of work exploring what increased flooding will cost, and who will get stuck with the bill,” Canadian Coastal Resilience Forum (CCRF) coordinator and Waterloo Faculty of Environment Andrea Minano told EurekAlert! Science News. “The increases in flood losses put into question the long-term insurability in the Halifax area, and highlight a broader problem facing many other areas in Canada if no actions are taken to mitigate and adapt to climate change,” Minano, who co-authored the report, commented. In a test, the team ran two models for two different climate change scenarios. They found that there was a significant difference between the best and worst-case scenarios. According to the report, if no action is taken to stall climate change (generally described by the report as a 4 °C rise in global temperatures), the Halifax area could see $67 million in damages in the event of a severe flood. If the temperature rise can be limited to 2°C, damages would be $10 million for the same event. “The difference in cost between both climate scenarios shows just how exponentially worse things can get without action,” Minano warned. Minano added that the report is proof that governments should start preparing for “rare, but high-impact floods,” and should warn citizens of the danger and prevent construction in high risk areas.